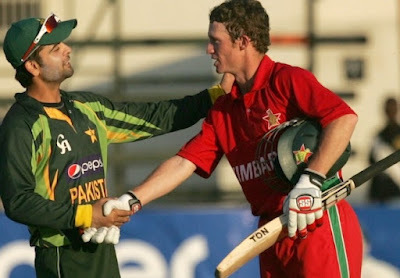 The second T20 match of two match T20 series between Pakistan and Zimbabwe will be played on Tuesday 29th September 2015 in Harare. Pakistan has already got 1-0 lead in the series by winning first T20 match by 13 runs. In 1st match Pakistan scored 136 runs in 20 overs batting first for loss of 8 wickets. Zimbabwe was able to score 123 runs in 20 overs for loss of 9 wickets and Pakistan won the match by 13 runs. Imad Wasim was declared man of the match for his 4 wickets. head to head both teams have played 8 T20 matches and all of them were won by Pakistan which clearly shows which team is favorite to win second match as well. according to Pakistan time the match will start at 4 AM which means most of people will not be able to watch the match Live. after this series both teams will play 3 ODI matches and then Pakistani team will fly to UAE for playing series against England.